For companies looking for team building and entertainment, THEY improv provides improv comedy, game shows and murder mystery dinners for entertainment options for a variety of groups and gatherings throughout NOLA. Company-friendly entertainment in Louisiana is our specialty. With a variety of shows to fit almost every need, THEY improv NOLA is prepared to help you with your New Orleans corporate event, banquet or private party. We make it Big and Easy in the Big Easy. Let THEY improv know the size of your group and we can provide you with ideas and a quote for a tailor-made show to make your New Orleans corporate event or private party a success. THEY have entertained many top companies at their offsites, why not let them provide you with an evening of entertainment that will not soon be forgotten? From office parties to full galas, there is a selection of New Orleans corporate events and private parties to meet your needs. From game shows to improv comedy shows and full murder mystery dinners, small and large groups alike can find their entertainment needs met in the Big Easy. And our staff is trained to analyze your needs to come up with the most appropriate New Orleans corporate event or private party for your group. THEY improv will then follow-up and provide you with a proposal for presenting your show. 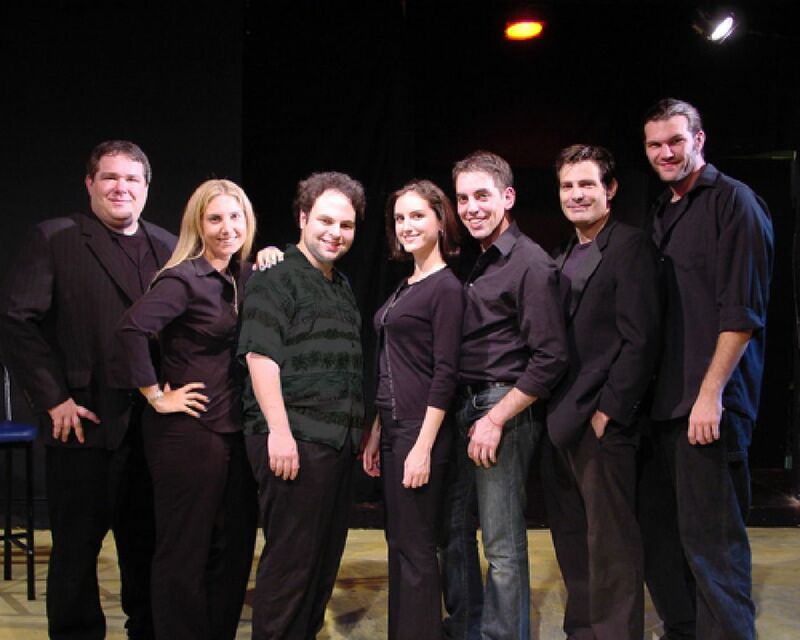 Contact us today to find out how you can entertain your business when THEY improv. The needs for your employees always come first. From our initial conversations, our director walks you through the process of developing a program that will meet your company's needs. We work within your budget, analyzing the size of your group, your needs and the venue involved to find a program that can give you an event you won't forget and that will achieve the results you are looking for. From strictly entertainment around a meal to workshops or bonding activities, we have something for any group dynamic. THEY improv NOLA is proud to serve the Big Easy including the French Quarter, the Tremé, the Garden District, Uptown, Arts District, the Warehouse District, Downtown, the Central Business District (the CBD), the Riverfront, the riverboats on the Mississippi River, the Lakefront, the Westbank, the Convention Center, the North Shore, Metairie, Kenner, St. Tammany Parish and St. Bernard Parish as well as the rest of the surrounding areas. Contact us at info@THEYimprov.com or by calling THEY improv NOLA at (504) 437-1585.